Recently Don has been working with director Julia Runagall and presenter Gail Porter shooting video for The Little Princess Trust. 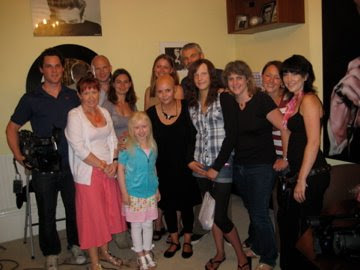 It was very inspiring to film young people who have lost their hair to alopecia or cancer, having their hair replaced by real hair wigs. Last week Don worked on the premiere of Harry Potter and the Half Blood Prince in Leicester Square. Working with journalist Nickie Omer, Don filmed interviews with all the film's big stars and got absolutely drenched in the process!